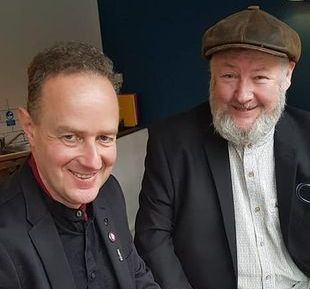 Veteran ‘folk-rockers’ Gary Miller & Mick Tyas have come together as an acoustic duo with plans to release a new album on Whippet Records and tour internationally. Although best known as key members and joint lead singers in world-renowned cult folk-punk pioneers The Whisky Priests (“A Whisky Priests show is the sort of stuff to make your hair curl; honest, earthy, loud, raucous and tremendously uplifting” - Folk Roots, UK), each has had a long and varied career in the music industry in his own right. Gary Miller is an accomplished and widely-respected songwriter (“As a song poet there are few in the world today to match him” - Green Man Review, USA). He has performed and recorded as a solo artist and in a variety of collaborations with many other notable musicians, songwriters and poets over a long and varied career, and is in regular demand as a commissioned songwriter, as well as a successful developer and deliverer of exciting and ambitious community arts projects. His most recent projects include 'Mad Martins', an ambitious 50-track triple-CD, 104-page Deluxe Book, Performance and Theatre Show, chronicling the lives and times of the notorious Martin Brothers of Tynedale (William, Jonathan and John), who rose to prominence in the early 19th Century; and 'From Coalfield to Battlefield' for the DLI Collection travelling Exhibition 'When the Bugle Calls', celebrating the music of The Durham Light Infantry, which has so far produced a CD Single, 'The Durham Light Infantry', featuring Ferryhill Town Band and a Download Single, 'Ballad of Lance-Sergeant William Stones'; a performance of 4 commissioned songs written by Gary for the project at the exhibition launch event at Bishop Auckland Town Hall; with a full-length album and further performances due to follow. 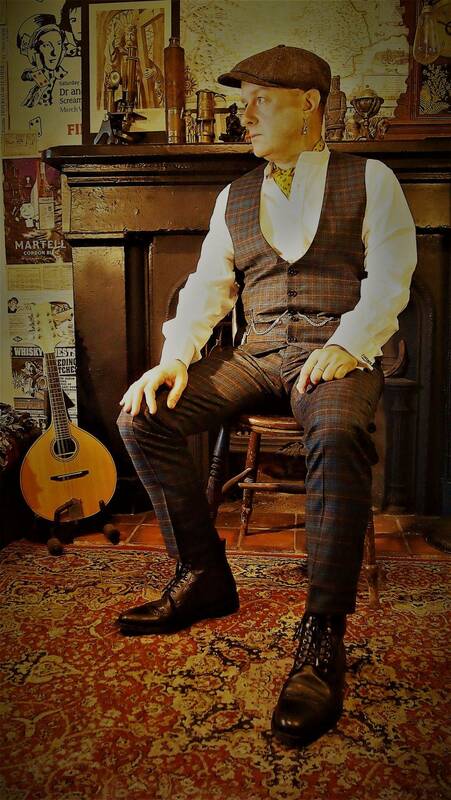 Prior to joining The Whisky Priests, multi-instrumentalist Mick Tyas had a successful career on the North East of England music scene, playing in various punk bands and folk groups. He achieved huge popularity during his many years in The Whisky Priests for his singing, musicianship and larger-than-life personality. After leaving The Whisky Priests, Mick founded and fronted successful folk-rock band, The Wickermen, touring solidly and becoming a mainstay of the 1990’s European festival circuit. Later he co-founded acoustic folk trio Tippin The Wink who released their acclaimed debut album The Devil’s In The Detail in 2011. 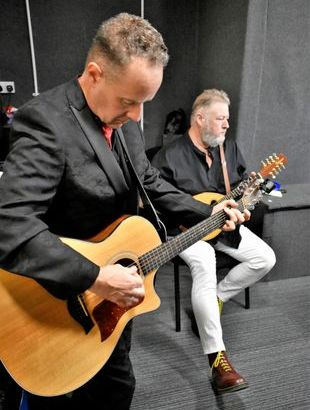 Now, as an acoustic duo, drawing on a wealth of experience and combined talent, together with a formidable reputation, two powerful voices, a variety of instrumentation, and a wide range of material, they present an exciting and unique act that sees them expanding their musical horizons.